The Damascene-Syrian restaurant has just opened its second branch at Dubai’s newest ‘It’ location, complete with amazing views of Ain Dubai. 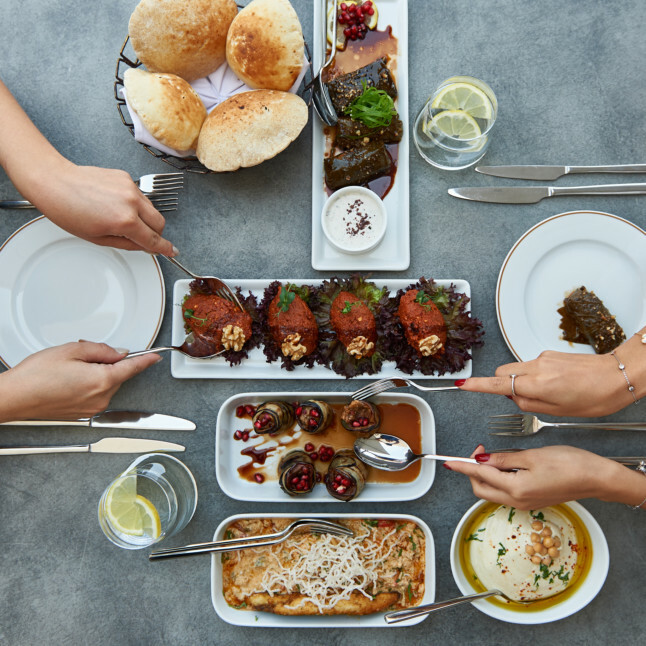 The restaurant’s concept is inspired by a 1975 Syrian TV show ‘Sah Al Nawm’ and promises homemade recipes that have been passed on for generations. Signature dishes include Ouzi Short Ribs (served with rice and lamb meat cooked with nuts), Ghapama (baked pumpkin stuffed with rice, minced meat and nuts) and Seuberg Spinach (layers of dough with mixed cheese, spinach, dill and bell peppers). There’s also a kid’s meal that comprises of a mini-portion of a main course, paired with a side and salad, along with a dessert and fresh juice. 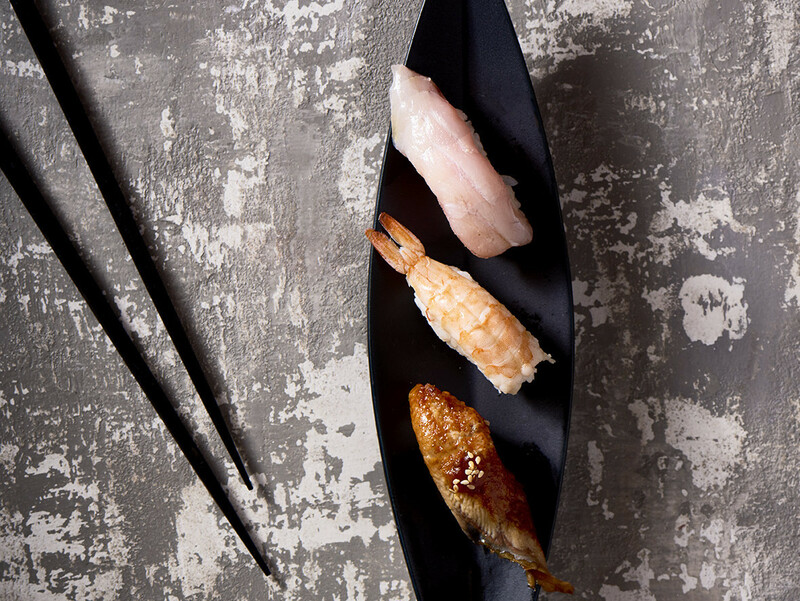 Japanese sushi meets Italian flavours at this new venue in the Capital. The East-meets-West theme promises something for everyone, with everthing from sushi rolls to wood-fired pizzas and pastas. Signature dishes include Makimono rolls, creamy Fettucini, Golfo Del Messico and a special salsa, topped with tender beef strips, mushroom, sun-dried tomato, olives, jalapenos, mozzarella cheese and onion, garnished with guacamole, sour cream and chives. Decor is contemporary with semi-private booths and a spacious outdoor setting overlooking the dancing fountains. 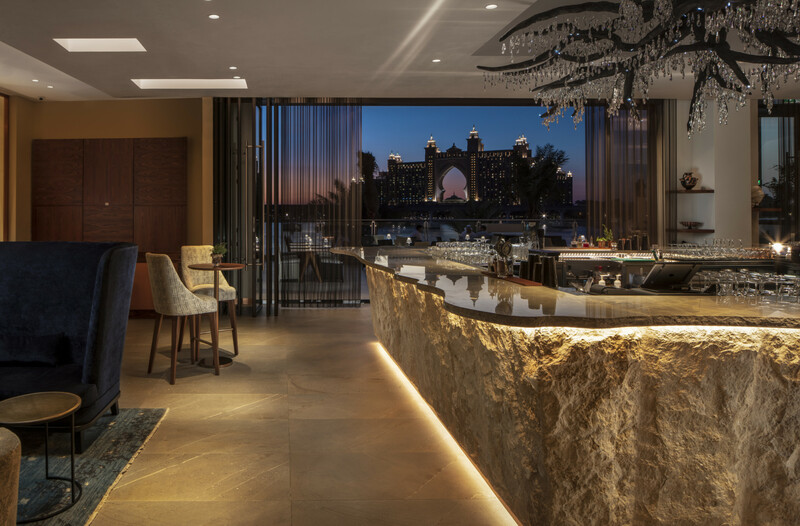 Where: The Pointe, Palm Jumeirah. 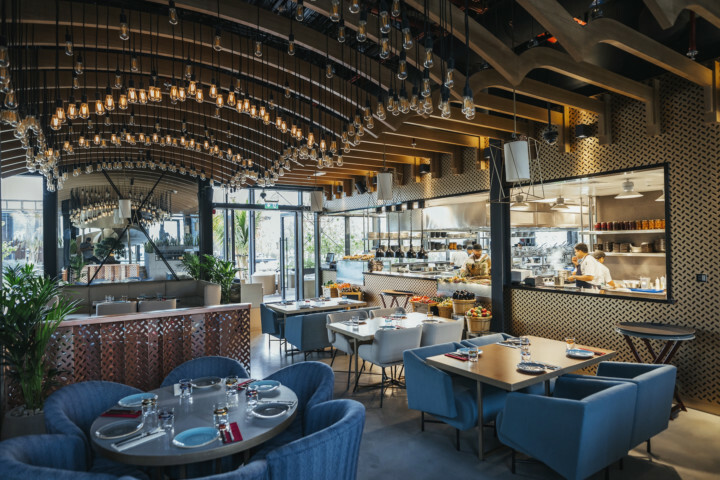 Entrepreneur Lena Maniatis wanted to create an interpretation of her homeland by celebrating the Greek spirit with her restaurant, lounge and bar. She wanted to create a bright, welcoming space featuring Greek elements drawing inspiration from the museum of Athens. All art at this space is specially commissioned. Ena also has a large terrace with expansive views of the Atlantis hotel and Arabian Gulf. For the food, dishes are from Maniatis’ favourite food memories including those cooked in Gastra style or clay-pot slow roasting, and a Greek style roasting with vine stems called Ladokola. There is also creamy tarama, almond crusted feta cheese, lamb shank trahana, beef cheek stifado and lamb chops. This one’s for a bit of Central Asian vibe, with a modern twist and a lot of attitude. The licensed venue boasts two floors and a terrace seating overlooking La Mer’s beachfront. Serving breakfast and opened until late, signature dishes include Hammour and Shrimp Manti and Crispy Aubergine and Goat Cheese Salad. The oriental-inspired space is full of authentic art sourced from artists around Central Asia. There’s also a live kitchen and lots of grilled items. This is Michelin-starred chef Massimo Bottura’s first restaurant outside Italy. He’s of course the man behind Osteria Francescana, voted the best restaurant in 2018. 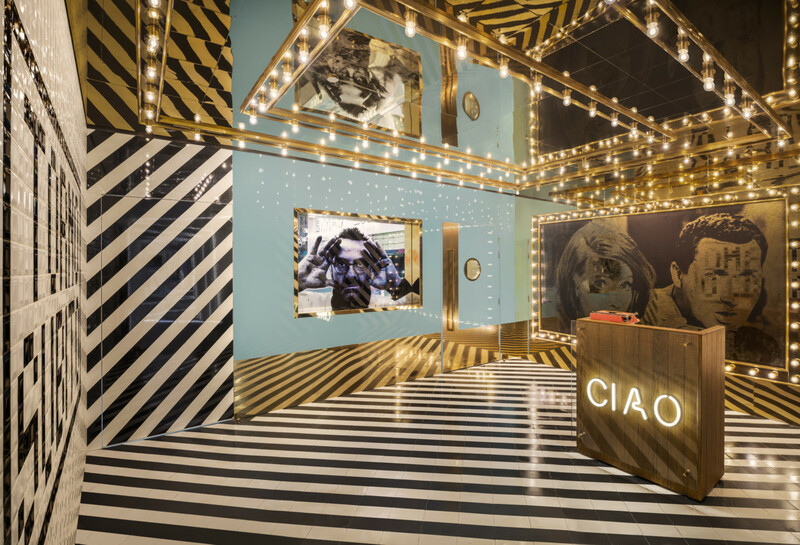 A retro-themed decor at the Dubai restaurant takes visitors back to the 1960s Italian Riviera where everything is sophisticated but laid back. There’s also a massive terrace overlooking the W Dubai’s private beach, complete with a roaming gelato cart. The kitchen is led by Chef Bernardo Paladini, Bottura’s protege who spent seven years at Osteria Francescana and Franceschetta 58. Signatures dishes include the Tagliatelle Al Ragu, a recipe handed down from Bottura’s grandmother, made with different cuts of beef, slow cooked and hand-chopped. The phrase “Torno Subito” translates to “I’ll be back soon!” and is usually seen on sign boards that hang in closed store fronts in Italy indicating their afternoon break. We see what they did there!